European Removals are engaged in offering the highest quality, yet economical, efficient, professional and reliable moving services to Switzerland and also undertakes relocations from Switzerland to the UK and all other European destinations. Our sole goal is to deliver peace of mind while moving our clients to their desired destination. With vans in Switzerland every day and a depot in Geneva, we have all angles covered when it comes to move house to or from Switzerland. Please click now for a free estimate. With every passing year, we upgrade our services, equipment and competitive strength to make moving a truly exhilarating experience for our customers. We complete your moves within shortest span of time and without breaking your budget, so you will never regret choosing us. Whether you are moving from Paris to Switzerland or from Switzerland to any European country, we accommodate all kinds of relocation needs around Europe at the best prices in industry. Moving abroad is a fantastic experience which will surely help you grow as a person and give you a world perspective like no other. In addition, doing so can grant you with the opportunity to start over and succeed in your goals. For these and many other reasons, many make the decision to leave their homes behind in search for new opportunities. Individuals, families, and even businesses have reached to us to assist them in relocating their belongings. Entire homes or offices can be shipped by sea within budget with the use of containers. If on the other hand you are looking for a speedy solution, we can offer designated services to deliver your goods within 24 to 48 hours to 90% of European destinations. This is done with small vans or wagons, and can include complete services such as wrapping, packing, and of course, loading and unloading. For us, performing removals to Switzerland as well as to many other European countries is common. We can offer part load services if your moving dates are flexible. With this service, our trucks and crews stop at various points picking up and delivering goods. You have the option of packing items yourself, or our teams can do the job for you. Switzerland’s neutrality, strong economy, great roads and public transport are just a few of the things that make it an attractive option for many. Its capital is Bern and three languages are spoken fluently by the majority of the population: French, German, and Italian. With a generally temperate climate, conditions can still vary drastically from region to region. The presence of the Alps allow for a great variety of winter sports to be practised in the area, which are enjoyed by visitors and residents alike. When importing goods in to Switzerland you need to fill in the form 18:44, which is for the importation of personal effects in to Switzerland. 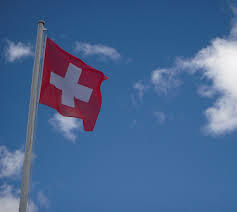 The following link will take you to the Swiss customs website, where you can down load an 18:44 and find some more information about importing cars, animals and many more products in to Switzerland and also check for any restricted items. Remember, if you import any new items you will be subject to taxation. SWISS CUSTOMS / 18:44 SWISS IMPORT FORM ÂIn order to complete customs work for you we need this form to be completed, copy sent to us and the original given to our driver.We also require the following documents, which support your application for the importation of personal effects in to Switzerland. Don’t worry, this is just a formality.Copy passport, copy work contract, copy tenancy agreement and copy packing list, with values on and signed. IMPORTING GOODS IN TO THE UK ÂShould you be moving from Switzerland to the UK, then you will need the form C3, for the importation of personal effects, from outside the EU. This link will give you a copy C3. UK IMPORT C3 ÂAlong with a C3, we will also need a copy passport and packing list with a total value on it.